India's First Interactive Trailer- Monsoon Shootout Starring Nawazuddin Siddiqui's Intense, Gripping! Home BOLLYWOOD India’s First Interactive Trailer- Monsoon Shootout Starring Nawazuddin Siddiqui’s Intense, Gripping! India’s First Interactive Trailer- Monsoon Shootout Starring Nawazuddin Siddiqui’s Intense, Gripping! 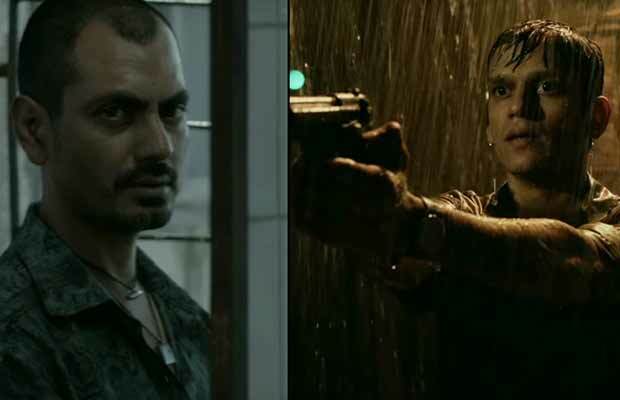 The makers of Nawazuddin Siddiqui and Vijay Varma starrer Monsoon Shootout have launched their interactive trailer. Priyanka Chopra extended her support to launch this trailer. The story of Monsoon Shootout is all about the choices faced by the central character, played by Vijay Verma. Thus, to bring out the idea of how one’s choices can alter their lives, the trailer for the film is interactive. Previous articleArjun Kapoor Gives Us Glimpse Of Ranbir Kapoor Losing His Cool! Next articlePadmavati: Kangana Ranaut Continues The Rivalry By Not Supporting Deepika Padukone?